We believe in reigniting the beautiful & inspiring tradition of art within the Muslim community. A tradition that historically helped define Muslim civilization and it's connection to the Divine but after colonization and the modern era is not pursued to it's full potential. That's why CAIR-Missouri launched "Creativity & Identity" a 1-day Muslim Art Exhibition featuring local Muslim artists in St. Louis. 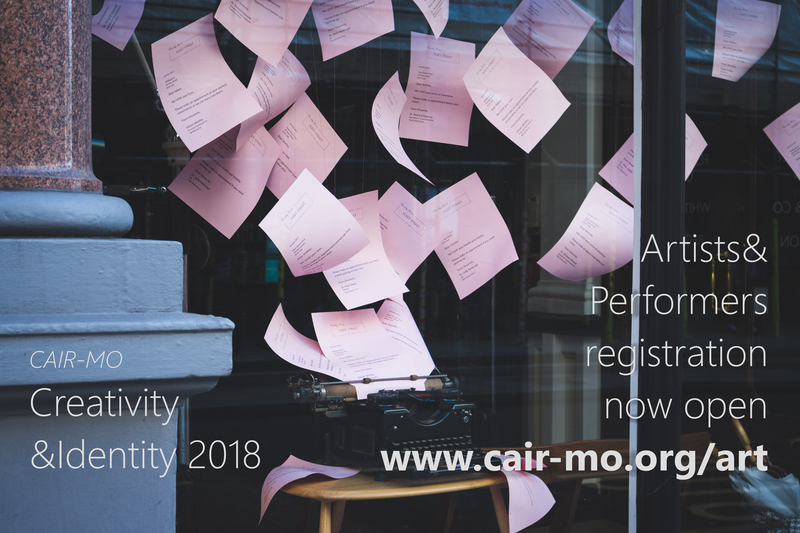 If you are a Muslim poet, spoken word artists, singer, comedian, or performer then we want you to use your skills at #CrSTL 2018. Fill out the sign-up form below to be included in the art exhibition. Your entry has been confirmed. Once we have reviewed your work you will receive further instructions so please check your email! Make sure to to follow CAIR-Missouri for more news and events.